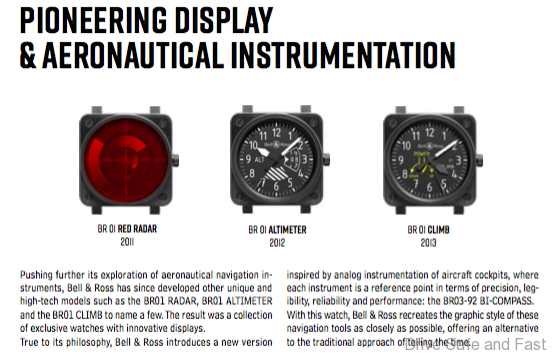 This is an all-new Bell & Ross instrument inspired by the analog instruments of aircraft cockpits. 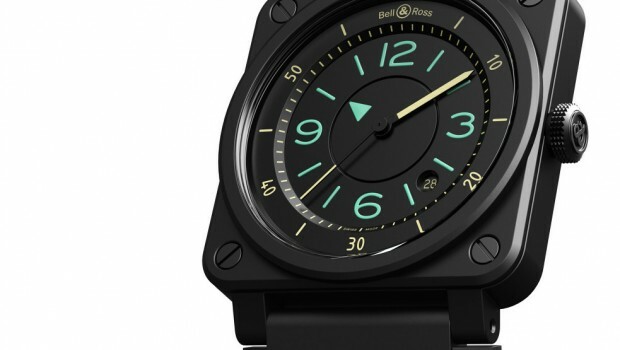 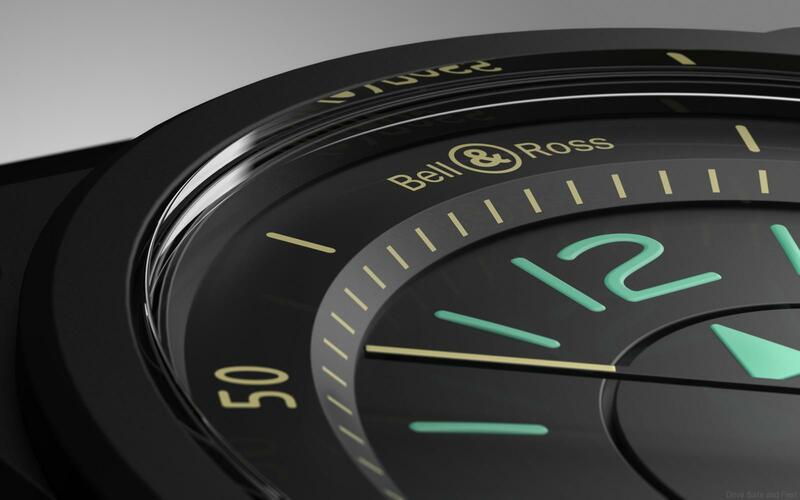 It is truly unique stylish wristwatch that comes with ultra-clear legibility and dynamically unique like all other Bell & Ross watches. 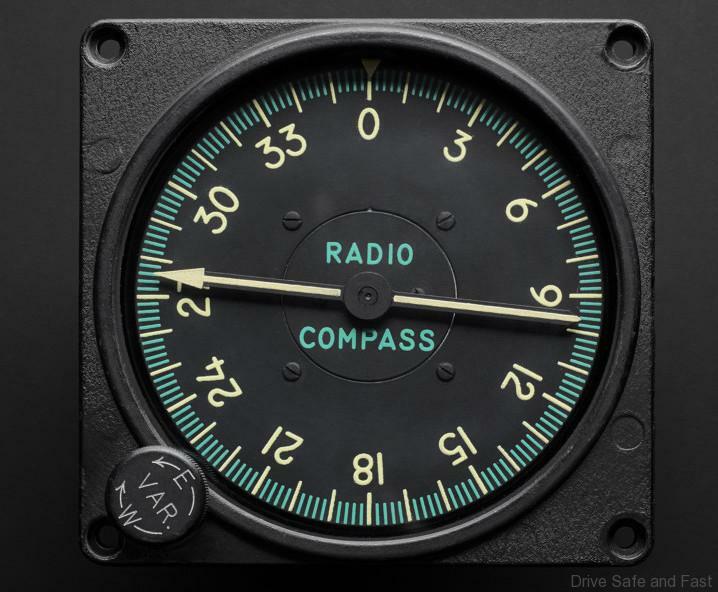 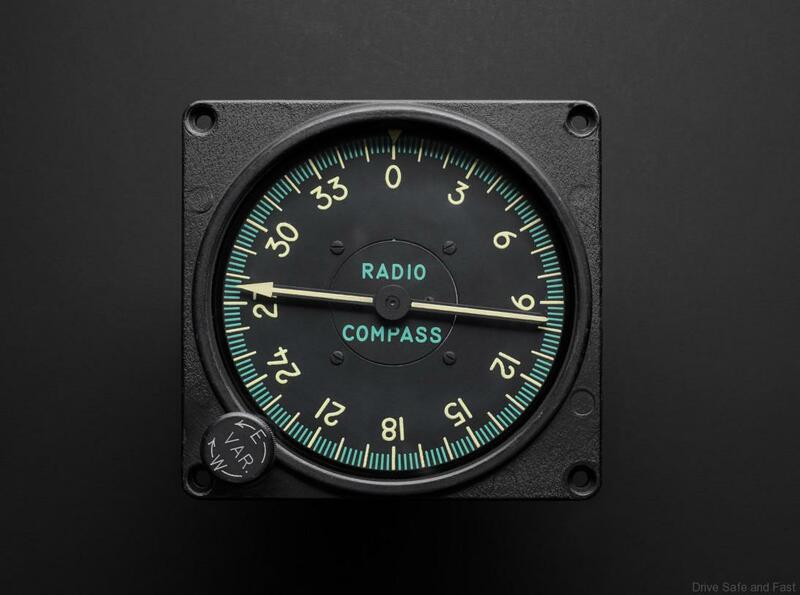 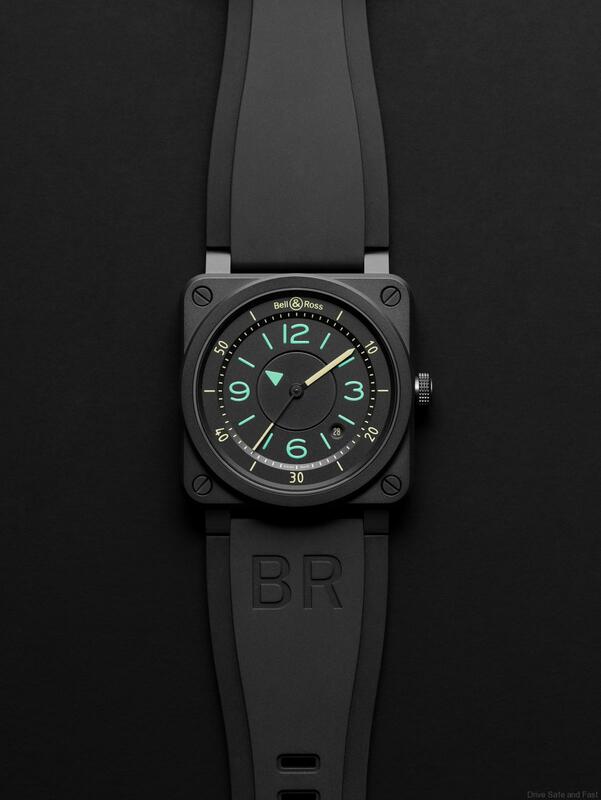 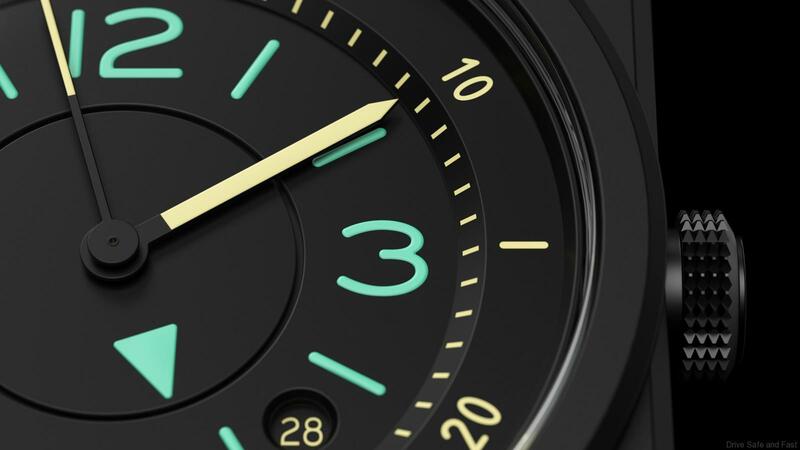 Featuring a 2-tone colour scheme, the hours are read using the central rotating arrow and surrounding indices and numerals which are coloured in the aviation industry standard Munsell green. 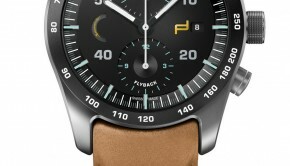 The 2-tone colour scheme has a coating of Superluminova® on the hands, numerals and indices which has been offset with a glare resistant matte black on the dial and casing. 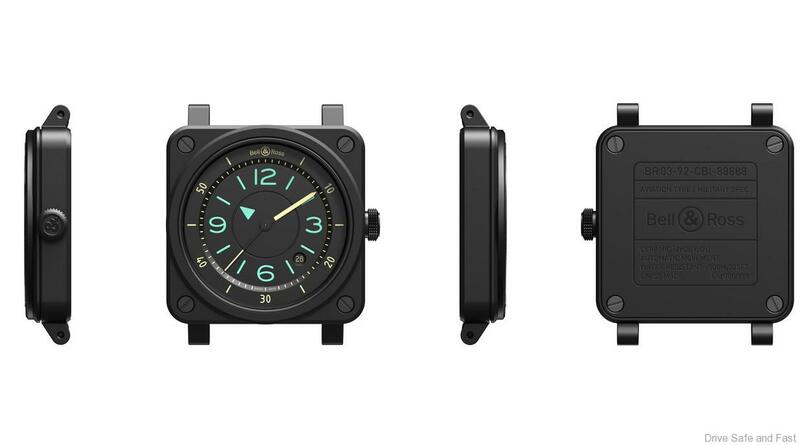 The typeface — Isonorm — recalls analog aviation counters, as does the 42mm black ceramic case. 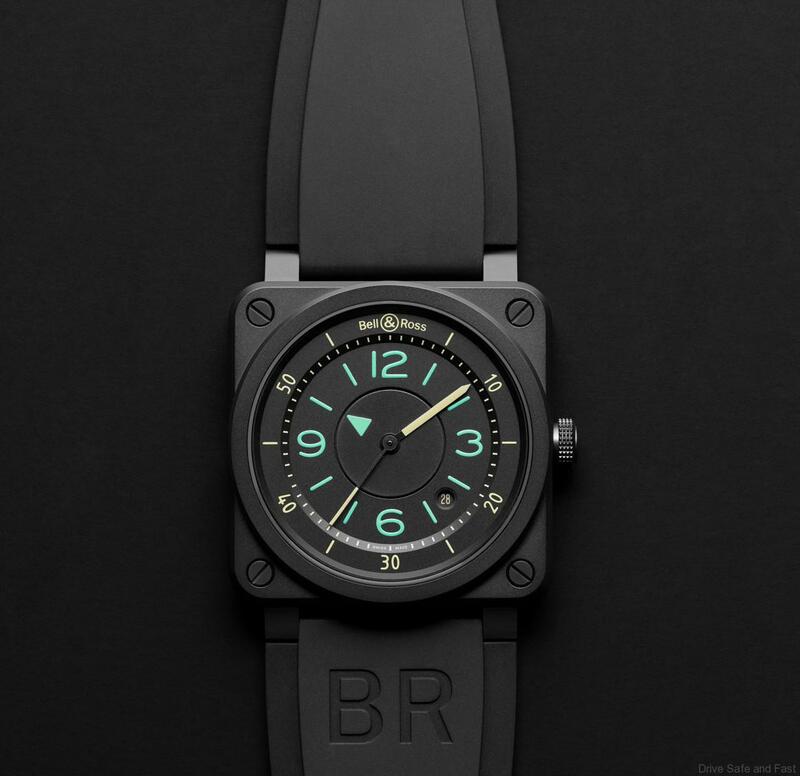 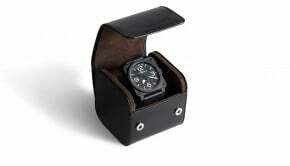 Finished with a black rubber and black synthetic fabric strap with black PVD-coated steel buckle. 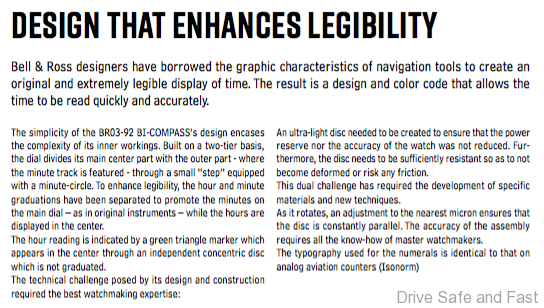 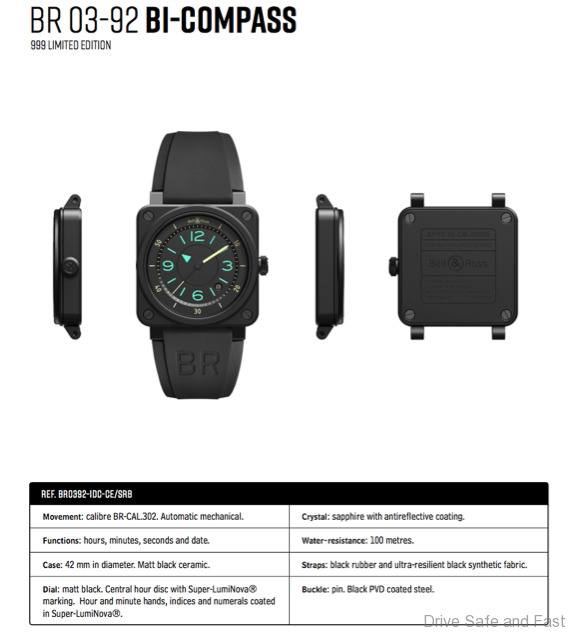 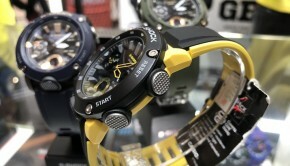 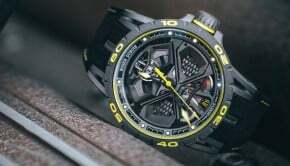 TECHNICAL SPECIFICATIONS & LIMITED EDITION OF 999 JUST PIECES.